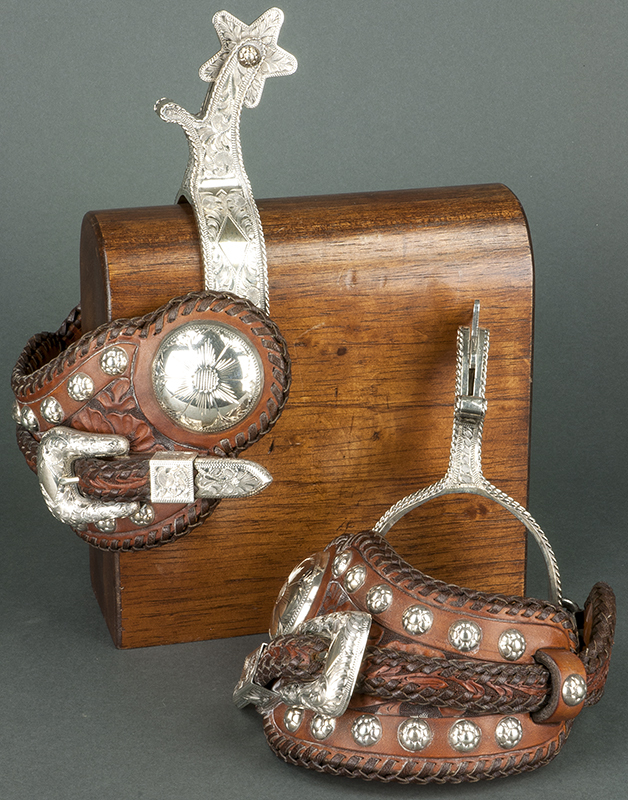 Altermann Galleries Santa Fe, N.M. 855-945-0448 kevin@altermann.com www.altermann.com Unknown, Bohlin Spurs, Bohlin Sheild stamped near strap button and on tip of buckle. Stamped Edward H. Bohlin inside leather on each. Silver over stainless steel & leather, 4 by 9 by 5 1/2 inches.